Sign up for Broadjam today to follow CarloSantos, and be notified when they upload new stuff or update their news! Cuban artist born in Havana City. 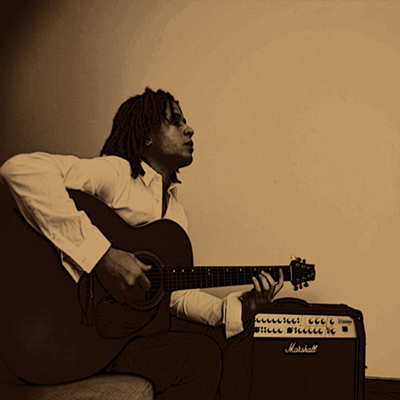 Musician and composer has participated in various festivals and events related to the world of song, the result of which in 1995 published two songs on a compilation album by singer-songwriters of his generation: Habana Oculta (Nube Negra 1995). This stage is also the album Green Melon (Bis Music 1998) recorded with his group (Superávit) which participates as an arranger, producer, composer, singer and guitarist. In 1998 he traveled to Spain, invited by the Foundation Author to attend the Week of the song of that year. Based in La Coruna 2000 since has performed solo and accompanied in many places of the city circuit, sharing the stage with musicians and groups in their environment. He is currently recording what will be his first solo album, which mixes several popular styles including pop, Latin, rock, etc. The styles encompassed within the singer-songwriters.